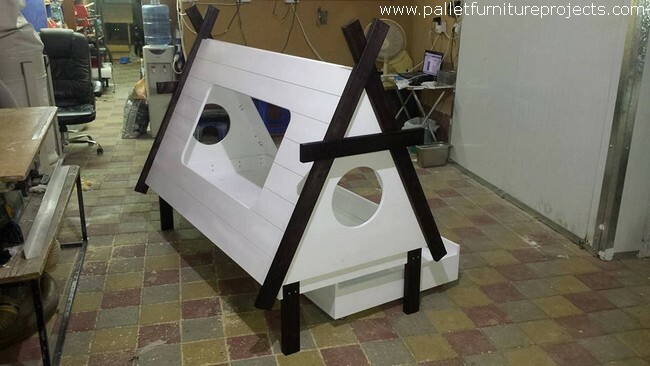 Before we get started with the actual idea of the wooden pallet recycled teepee, let’s have a look in a bit of introduction of this specific wooden article. A teepee, or tepee, also called as tipi is actually a historical conical tent that was made and used by the indigenous people on plains historically. It used to have smoke flaps on the top. 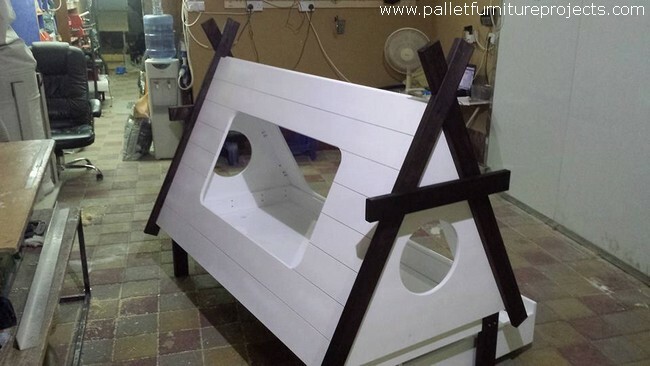 Today we are going to borrow the same idea and we are making it using the shipping wood pallets, and this would be made primarily for the kids. I think they would simply love this new shape and idea. 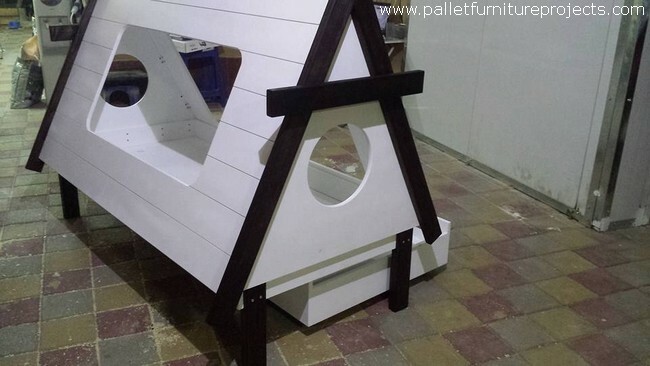 As this was meant to be a purely kids oriented wooden pallet creation so first of all we were quite reluctant while making the selection of the shipping pallets. So we made sure that the pallets are quite fine condition wise, they are neither contaminated at all. For such high quality pallet range we had to consult a mega grocery store down town and we also paid some bucks for compensation. After the supplies were arranged then came the moment of creation that we did entirely in the domestic workshop. Rest of the features of teepee kids bed would be discussed below. 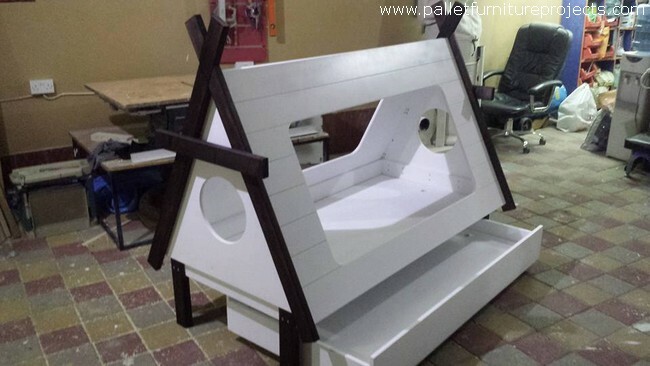 To make it look more attractive and to equip it with the essential features we took all technical measures like this hollow hole on the front is meant to provide the ample supplies of air. Though it is quite open from all sides yet none of the corner was left closed. The main side frontal window is another assurance of having a quick and vigilant look on the kid. And another incentive that was additional added in it was a storage cabin right below that provides with ample space where almost all of kids related stuff can be placed. Now let’s talk about the design because a lot of discussion has been made on the shape and the structure. 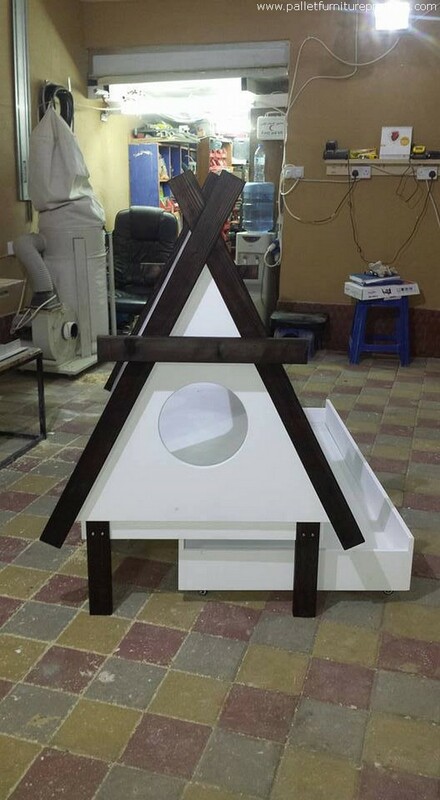 The arc shaped brackets that are fixed on both sides of the teepee kids bed are painted with dark brown shade just to mingle the colors and to generate an attractive contrast. While on the other hand we have used the bright white shade on rest of the structure which is probably the most appropriate shade for such indoor creations. White looks quite charming and while lying indoors it neither gets dusty. 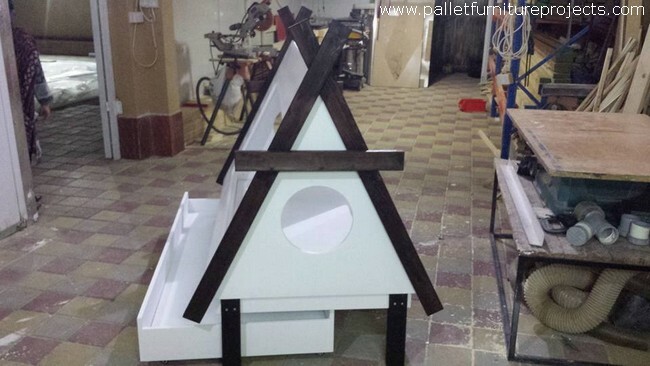 So talking generally this is a whole smart package of a wooden pallet creation for the kids. This is safe from all the perspectives. A quick vigilance is possible out of this, this has got a spacious lying area that is simply more than enough for the younger kids. This would give them a sense personalized space where they would feel more secure and protected. And the slim shape is so adjustable that it can be placed even in the shortest corners so don’t worry about the space. You can put it right beside your room bed. 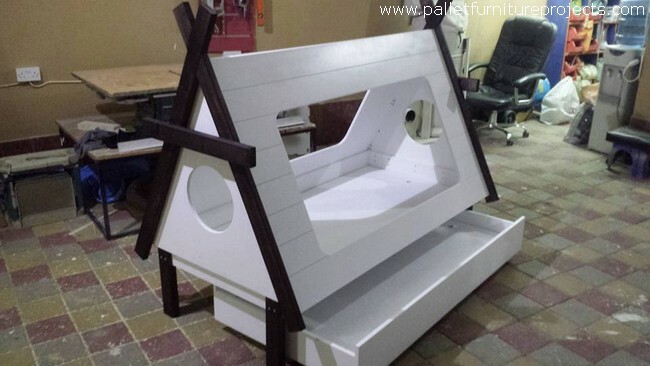 This teepe wood pallet bed would be an entirely new ideas for kids and the visitors as well.